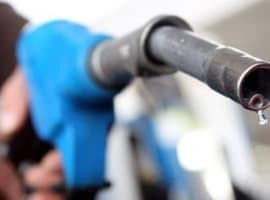 One hundred and eighty-five years after the birth of American poet Emily Dickinson, and OPEC has been waxing lyrical today in its latest monthly oil report. 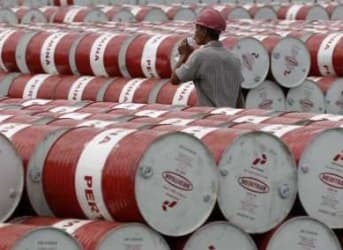 The cartel has tweaked its oil demand growth expectations up slightly this year to 1.53 million barrels per day, an increase of 30.000 barrels per day from last month, led by adjustments to European and Asian demand. Its estimate for demand growth next year is unchanged at 1.25 million bpd. In terms of economic data flow, the ‘predictable data point of the day‘ award goes to the Bank of England, who kept interest rates unchanged (as they have done for the last six-and-a-half years). Meanwhile, endorsing the negativity expressed in the OPEC report, the Russian economy contracted by 4.1% in Q3 (YoY). Onto the U.S., and weekly jobless claims came in at 282,000; well above consensus of 269,000, and the worst print since early July (but likely mottled by seasonal workers). U.S. exports for November were worse than expected, down -0.6% (think: stronger dollar), while imports were better-than expected at -0.4% (think: stronger dollar). 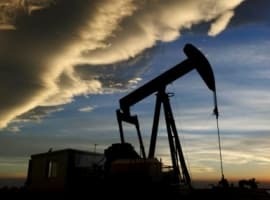 Hot on the heels of news that North Dakota saw oil production rise in October (albeit by 5,000 bpd) is this piece from today’s Wall Street Journal which highlights the equity outperformance of stocks from the Permian Basin, as the shale play sees ongoing improved efficiency gains shoring up production levels. 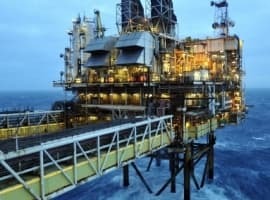 Finally, both Chevron and ConocoPhilips have slashed capital expenditures next year in their ongoing efforts to protect their dividends. ConocoPhilips has slashed spending by 25% in 2016, as it ‘recognizes the current environment, which remains challenging‘, while Chevron has similarly cut capital expenditure by 24%. Global exploration and production spending is projected to fall by $70 – $115 billion next year, depending upon your estimate of choice. As for today, the OPEC report is tag-teaming with a stronger dollar to pummel crude prices once more.